Recruitment platform for employers and search engine for job hunters, Tendo Jobs, has seen significant growth within their first 12 months since launching. With over 10,000 people having used the website during this time. The Tendo Jobs platform is at the very early stages of their growth journey towards becoming the leading international recruitment platform for employers and job search engine for job hunters. With rapid growth in registered users on the website for both employers and job hunters alongside the website visits data, we are building a strong community of employers and job hunters that can communicate directly with each other as part of their recruitment process. 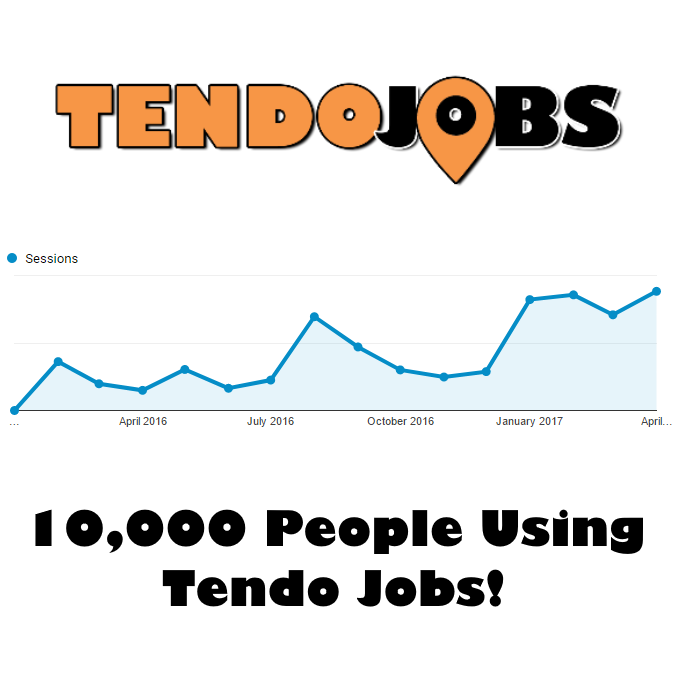 Tendo Jobs encourages all employers to post their job vacancies on the website and tap into this ever growing community of active job hunters. Employers can build their recruitment pipelines before they are recruiting by creating their free profile.